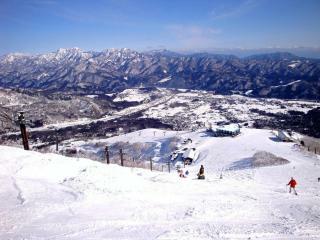 For the majority of Japanese ski resorts, the Japan ski season typically begins from mid to late December and continues through until the end of March or beginning of April. However this does really depend on the amount of snow accumulating at each resort and some resorts can actually open as early as the end of October, particularly with a little help from snow machines. It’s often a race between ski resorts to see who will make the national news as the resort which officially kicks off the Japan ski season. The wait for the first snow of December is often an anxious one and although it can be a bit of a gamble if you decide to visit during this time, the gamble can pay off because the early snow of December can also offer some excellent conditions if you’re lucky. For example, the Niseko ski resorts in Hokkaido have enjoyed a number of particularly good December’s as the start of the Japan ski season. For the handful of ski resorts that remain open after late March, these resorts generally go into ‘spring skiing’ mode and offer discounted lift passes. Some of the high resorts can even stay open as late as the end of May. Although great conditions can begin as early as December and last as late as March, the peak Japan ski season is from the middle of January to the end of February, when snow quality is at its best. For a guaranteed good time on the slopes, this is the time to visit. However keep in mind, it’s also the most popular period, therefore the slopes are not just at their best but also at their busiest. In saying that, even at peak season the slopes are rarely what you would consider ‘packed’. In fact, despite their popularity there is still plenty of room for everyone to enjoy. Unsurprisingly, weekends and public holidays are the busiest time of peak season and resorts do get extremely busy on these days. Particularly the New Year holidays, the mid-January and mid-February long weekends and Chinese New Year. 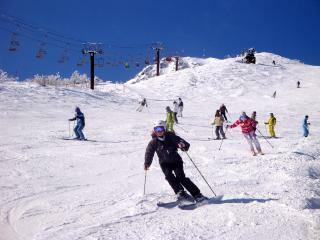 However, visitors on a Japan ski holiday have the luxury of enjoying the slopes on weekdays when they are much less crowded, even at the most popular resorts.